The Musket engine was conceived first and foremost as a vintage v-twin based on the original Enfield Bullet engine top ends, crank and internals. The design brief stressed the use of Bullet engine parts as much as possible to allow the engine to be maintained easily, stay true to the original vintage character yet improve it wherever possible. This led to a direction similar in basic concept to the mighty Vincent. This is not surprising, considering that the series A Rapide was conceived by Phil Irving as a development of the Meteor/Comet 500 single. 1. First and foremost, the twin, thanks to the increase in torque and hp, pulls a significantly higher final drive ratio, thus dropping the engine's rpm. The 700 can run a 20t (compare with 16t stock) and the 1000 can do 22t (compare with 17t). These ratios are comparable to classic twins of similar capacity and tuning. The rpms are reduced by 25% and 30% in the 700 and 1000, respectively. This is a significant reduction of the stresses on the conrod and bigend as inertial loads increase exponentially with rpm. It will also result in less heat generated as there are fewer combustion cycles for the same road speed/cooling air velocity. Each cylinder is burning less fuel than it did, with the throttle open much less, compared to the single as the work of sustaining a given velocity is being shared by two instead of one. 2. The crank main roller bearings are larger on both drive side and timing side. Only reputed manufacturers such as FAG, NTN, SKF, KOYO are used. Drive side roller 25x62x24mm. 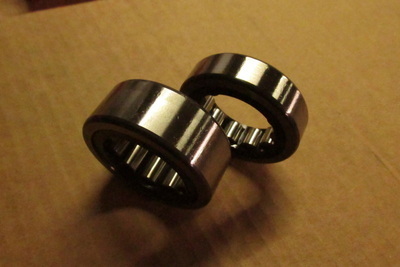 41% wider than stock 305 bearing and is the biggest bearing available for a 25mm shaft. 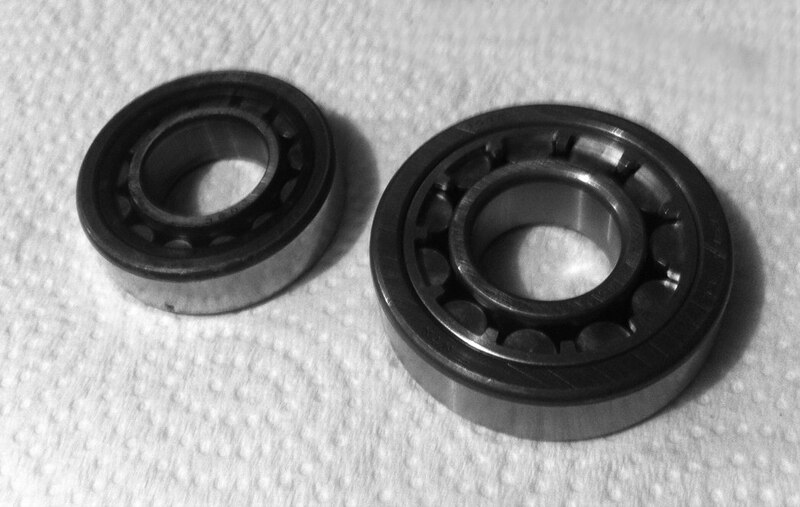 Timing side roller 25x62x17 (305) vs stock 205 bearing (25x52x15). OIL FEED TO MAIN BEARINGS. Timing side stock vs Musket. Drive side stock vs Musket. Pump mating surface improvement. Oil feed to main bearings. 3. 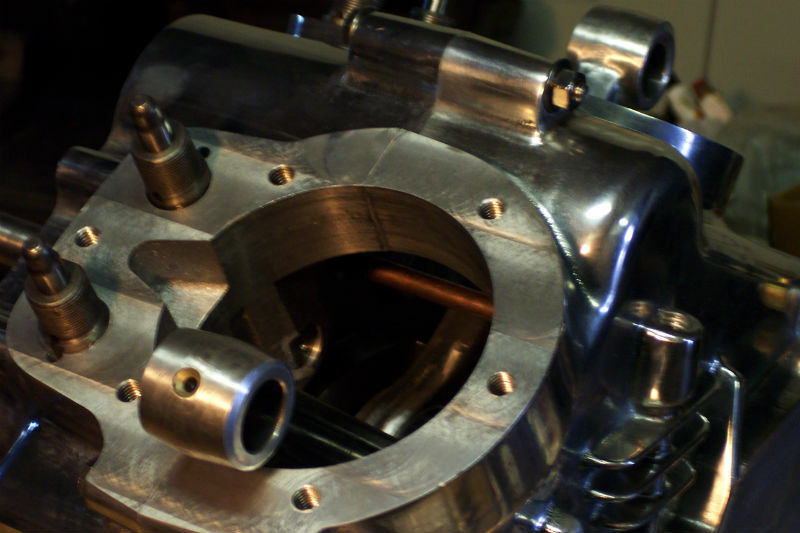 The choice of a wet sump coupled with the two stock oil pumps (feed and return) allowed a simple and elegant solution to the low oil flow of the stock engine. In the Musket engine, both pumps are 'feed' pumps and both use the larger 'return' plunger. Let us recall that the stock 'return' plunger flows around twice the oil of the 'feed' plunger to efficiently remove all oil from the crank chamber. In the Musket, both pumps tap independently into the wet sump with the mesh-screened pickup always submerged in oil. One pump feeds twice as much oil as stock to the crank big-end, (which now has two conrods, allowing twice as much oil flow). The other feeds twice as much oil as stock to the heads, ideal as there are two of them. There is no intermittent/air-bubbled flow as in the single. The heads drain into the timing chest, and overflow from there is routed through the drive side main bearings thus providing continuous lubrication to them. Special care is taken to give the pump discs and housing extremely smooth mating surfaces to ensure a very good seal and pressure retention. 4. The requirement to use stock conrods (or aftermarket performance rods for the Bullet) dictated a side-by-side conrod layout, thus the offset cylinders. A Harley style 'knife and fork' setup would not have allowed the use of stock rods. Offset cylinders are further desirable as the rear cylinder sticks out to capture a direct flow of cooling air on the hot exhaust port area and the rear exhaust pipe is at a greater distance from the front carburetor. 5. The crankcase right and left half castings and timing cover are CNC machined and sand-cast in 319, an aluminum-silicon-copper alloy widely used for automotive castings. It has been over designed with all walls thicker than stock cases and plenty of meat around main bearing bores and cylinder mouths. There are extra pounds of aluminum in there, erring on the side of caution. This is a very robust crankcase, well able to handle more than the loads it will be subjected to. 6. The V angle of 59deg. was arrived at after considering many factors such as minimizing vibration while achieving relative compactness, sufficient room for the front carb, rear intake and carb staying clear of stock frame tubes and last but not least, allowing either 350 or 500 top ends to be fitted, requiring consideration of the dimensions of both heads. The 59deg. angle is a good compromise between the greater inherent vibration and restricted cooling of 45deg. and the perfect primary balance but excessive length of the 90deg. V.
The driving force of the design was simplicity. The final configuration, as it currently stands, is such that the location and design of every feature was arrived at after considering manufacturing complexity and cost, ease of access and maintenance and often enough, the realization that "this needs to be here because it wouldn't work as well anywhere else." This series of logical decisions was encapsulated in a layout that is also visually appealing. NOTE: Aftermarket performance parts for the Enfield Bullet will also fit Musket crankcases. 4 stroke wet sump ohv 59 degree V twin. Crankcase: Custom designed, cast and machined alloy 'Musket' cases. 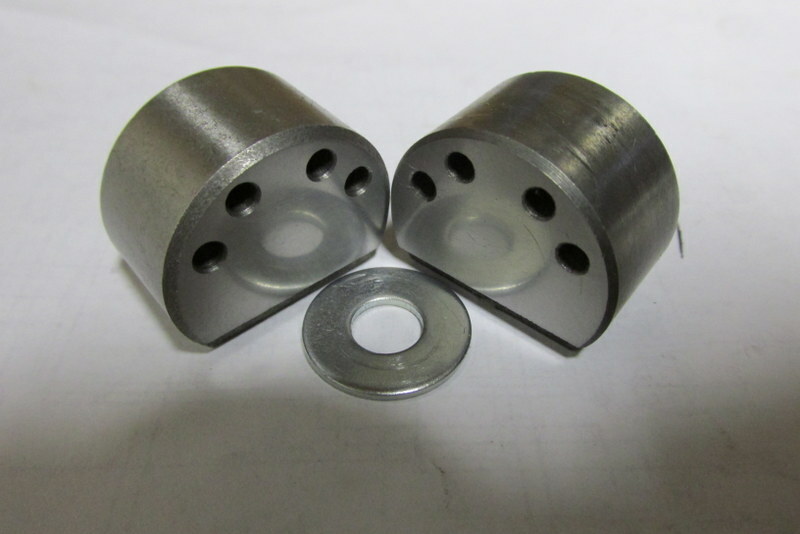 Can be machined to accept either 350cc OR 500cc top ends. Cams: Stock Enfield Bullet cams/ACE cams/Hitchcocks cams. A lift of upto .350 beyond the 1.000 base circle will drop in. Ignition: twin contact breaker points, twin stock coils. crank, 1 for heads. Oil flow rate increased 4 times that of stock. Filtration: Stock Enfield Bullet UCE paper element cartridge. Carburetors: Stock Enfield Bullet Mikuni licensed Mikcarb VM28. upgraded from stock 305 bearing. clutch spring plate that holds 9 springs for 50% increase in pressure. fitted. Right side shift OR left side shift is possible. Final drive sprocket. 700cc: 20 teeth. 1000cc: 22 teeth. Frame: Stock Enfield Bullet frame with stretched top tube. Weight (with fuel and oil): approx. 428lbs.